Happy Thursday! I am in a particularly great mood today, I think in part to the mini dance party I ended up having in the shower this morning. No worries, I have a non-slip mat (this cute one!) There is just something about shower music that makes me supremely happy. Anyway, it feels like a skincare day, does it not? I can always go for a bit of skincare, but I know not everyone is as keen as I am. 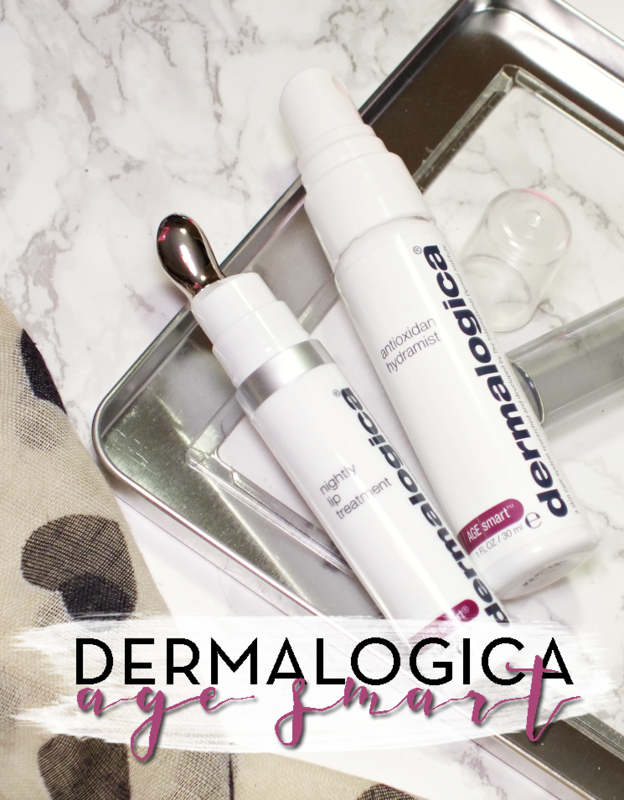 So, today is all about anti-aging skincare in the form of two new additions to the Dermalogica Age Smart range with their Nightly Lip Treatment & Antioxidant Hydramist. You don't need me to tell you that the skin on your lips is the thin (it's comprised of about three-five layers compared to the 16 found elsewhere) as such, it needs TLC just like the rest of your face. 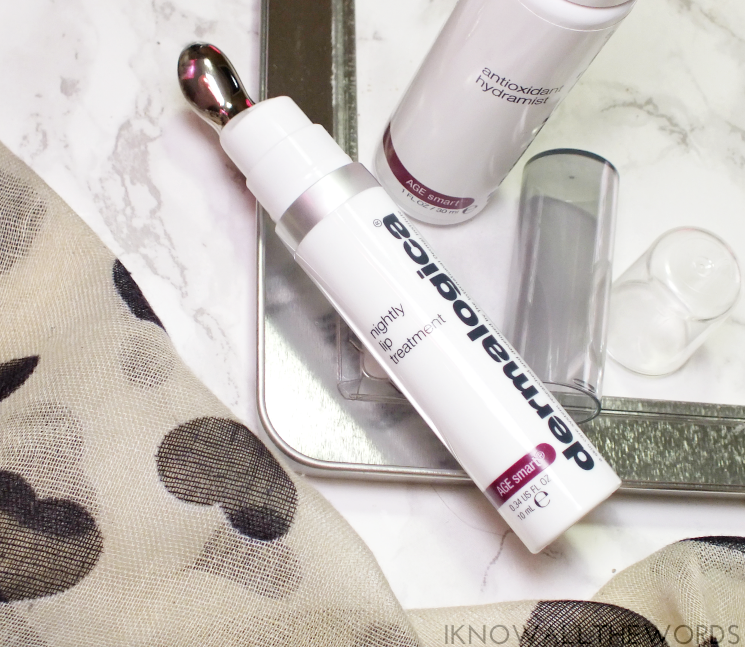 Sure, we all lip balm, but the Dermalogica Age Smart Nightly Lip Treatment takes hydration up a few notches. The treatment is housed in a firm plastic tube, with an airless-style pump that dispenses the cream-based product onto the metal applicator. The cream is light in texture, and melts into skin leaving no residue or 'feel' on skin. Unlike a balm, this formula is beneficial to the skin on and around lips, so you look a little crazy applying it, but the formula works to smooth the appearance of laugh and feather lines while firming, hydrating, and restoring skin. Formulated with Indian Gentian Extract, advanced volumizing technology, and sesame seed extract that work to restore skin volume (which we loose as we age) and reduce the visible signs of again (those fine lines I mentioned a moment ago. )Shea butter joins the party for added hydration and as an added benefit also improves skin elasticity and restores skins moisture barrier. You may know I am a big fan of facial sprays. I love them all- setting sprays, refreshing sprays, skincare sprays... I'll take one of everything. 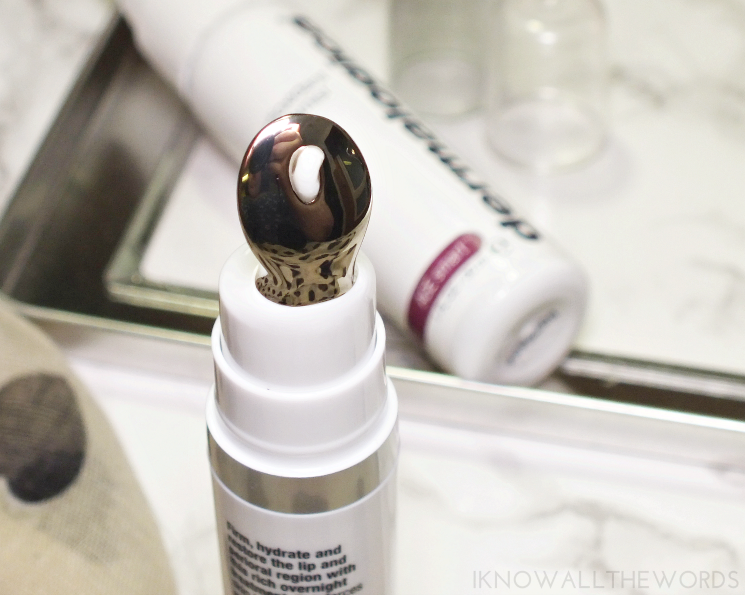 It is with that excitement that I welcomed the Dermalogica Age Smart Antioxidant Hydramist. The mist is a toner and daily refresher that works as a hydrating, antioxidant shield to refine dry areas, prevent signs of aging and firm skin. The mist is light, and dissipates pretty quickly on skin without any film or residue on skin. I like that this is a quick hydrator for mid-day and that you can pick this up in a smaller bottle (as shown) for stashing in a purse or desk. 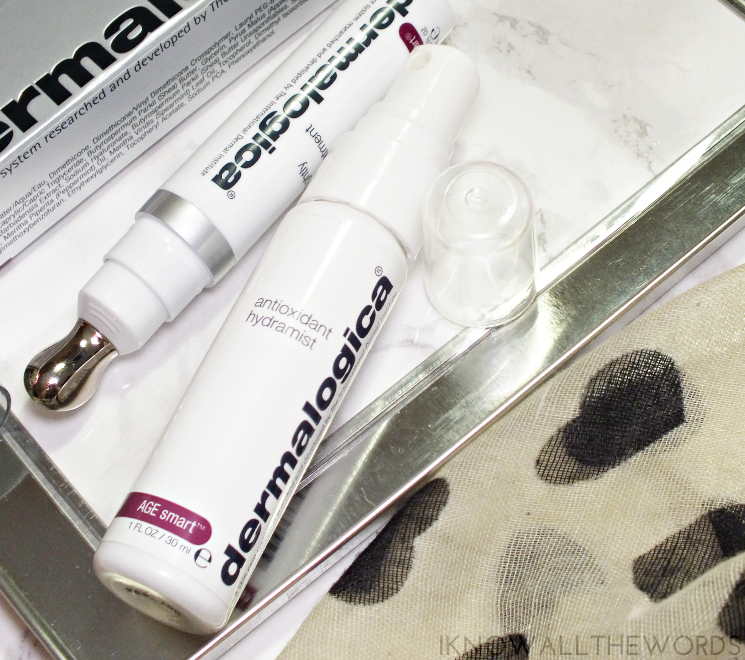 Overall, two Dermalogica products I've really been loving! The lip treatment seems like a pricey purchase, but the formula to me, makes it worth while splurge. What do you think? Could your skincare routine use wither of these products?